The Popped Black Woman Blog affirmation epitomizes what this blog hopes to accomplish: support for positively optimistic and powerful women that know who they are, believe that they can do anything, and do everything in their power to be better versions of themselves than they were in the past. Of course, we don’t always feel this way, which is why we have to remind ourselves of the truths below everyday and especially during those low moments. 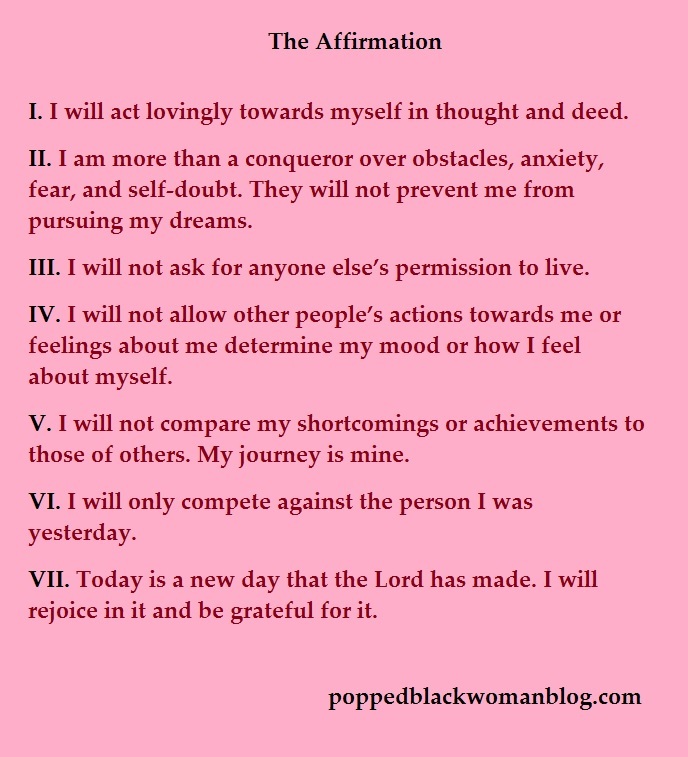 Check out my post introducing the Affirmation here!